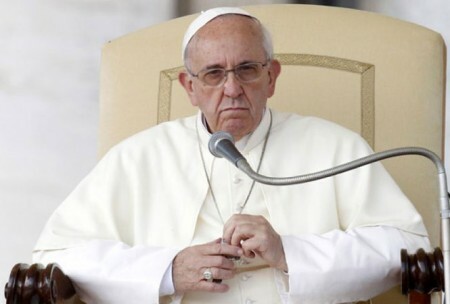 VATICAN CITY (AP) – Pope Francis has lamented that children are being taught at school that gender can be a choice. Francis made his remarks during a private meeting last week with bishops from Poland during his pilgrimage there. The Vatican released a transcript on Tuesday of those closed-door remarks. The pope said he wanted to conclude his remarks by reflecting on this: “We are living a moment of annihilation of man as image of God.” He added that his predecessor, Benedict XVI, had labelled current times “the epoch of sin against God the Creator”. The “colonization” theme is one he has railed against before, including during an Asian pilgrimage in 2015. On Wednesday, in the meeting with bishops shortly after his arrival in Kraków at the start of a five-day pilgrimage, Francis said he had discussed the issue of gender with his predecessor, who has lived at the Vatican since retiring in 2013.